WordPress is a customizable web application specialized as a content management system built upon a computer language PHP. To understand wordpress we need to understand these two concepts: (1) web application (2) content management system. A web application is a software that let browsers to send requests, process request, and send back webpages. Every website has a web application installed on some computers connected to the Internet. The simplest web application can be just a few HTML webpages connected together by links. However in modern websites we use more sophisticated software to dynamically generate webpages. Normally a web application has to be built by programmers from a set of libraries called frameworks. WordPress as a web application means that once it is installed and configured, it can immediately start process requests and send back webpages. This greatly simplifies the effort to build a website. To understand content management we must know what is a content. One can think of content as bunch of printed articles in magazines. Similar to a printed article, a web article consists of texts, images, and styles, in additional of videos and interactive media. 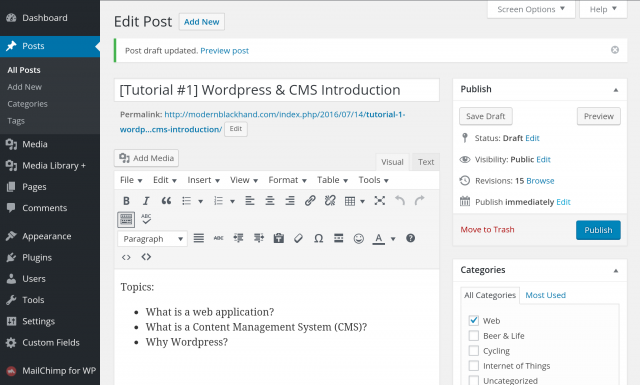 Enable authors to creat article drafts on wordpress. Upload media to be put into articles. Update published articles. Enable viewers to comment on articles. Track comments made to a certain article. WordPress manages content by serving dual purposes as (1) the magazine that displays content and (2) the magazine editor that create and organize content. Home page as the front cover. Menu as the content index. Additional webpages as one type of articles (about us, contact, etc). 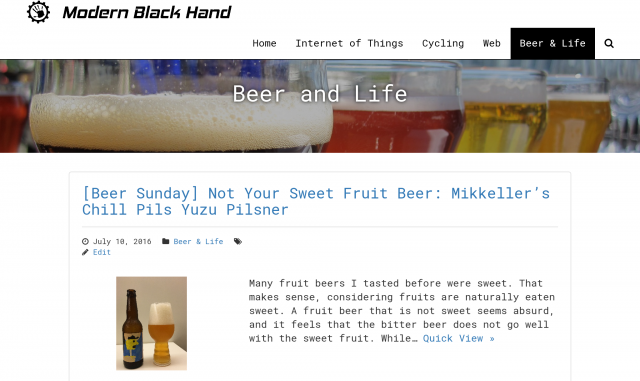 Blog page to show list of blog posts. Search page to show list of searched articles. Graphic panels for website configuration and layout setting. A Flikr/Dropbox-like Media uploader and manager. A built-in word processor to type/organize texts, images, and other media into articles as pages or blog posts. 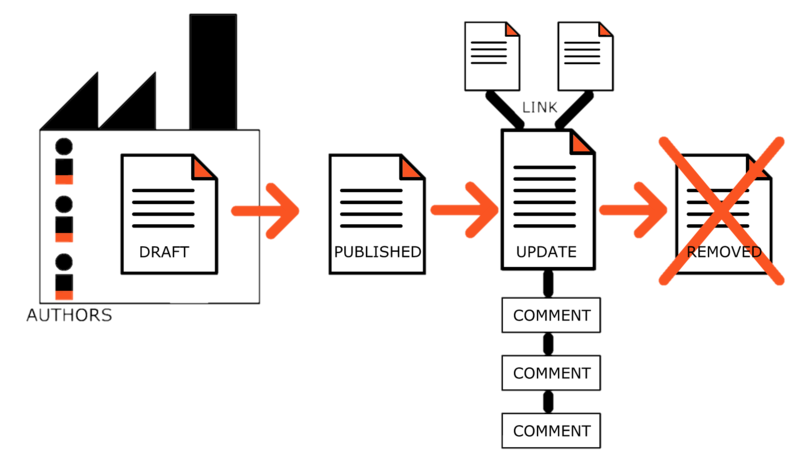 Author management for different users to create/review content. Graphic panels for controlling article status: draft, published, or updated. Can also schedule publish date. First of all, the primary purpose of many websites, personal or business, is to present content to users. For example many restaurants don’t (can’t) sell food via their websites, but instead write content about their stories, their food, events, etc to promote their restaurants. In this case, content management is the most important functionality of the website, as well designed content delivered in the right format, at the right time, drives website traffic . This is what WordPress is good at. Large user base: According to Built With, WordPress consists of 36% of websites using CMS technologies. Millions of websites use WordPress. Large usage means that the system is more robust, and bugs are quickly fixed. Easy to customize: WordPress’ PHP language is very easy to learn and write dynamic webpages. The look of the WordPress is also easily customizable by modifying themes. Its functions are also intuitive and easy to use. Tons of plug ins: Due to WordPress’ popularity, tons of add-on modules are available to install simply by clicking from the admin panel. For example you can easily add online commercial module (like WooCommerce) to turn your website into an online shop. I hope these information convinces you to learn and use WordPress. It is really an awesome tool to build your presence in the Internet. Combined with Bootstrap, you can further extend your presence into tablets and mobile devices.